As you all may know I love, love, love, The Thinking Tree journals! They are just so awesome!!! There is nothing out on the market like them!!! Yes, I know, I'm over using exclamation marks, sorry. I just want to make it clear that I totally love these journals. 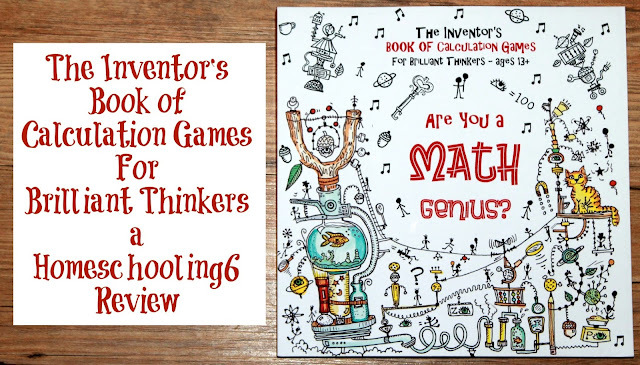 The Thinking Tree also has lots of supplemental books and one of them is the Math Genius book. Sarah is so incredibly talented and God has truly blessed her with being able to reach children that struggle in certain areas or have Dyslexia, ADD/ADHD, Asperger's and just those who struggle in general. This is why I LOVE her stuff. The Inventor's Book of Calculation Games For Brilliant Thinkers is recommended for ages 13+ (I'm actually using this myself!). Math Genius uses creativity and logic along with mathematical skills. Younger children can use it as well with help from mom or an older sibling. Basically what your child will do is find out how much it cost to run the inventions in the Math Genius book. Your child will have so much fun figuring how much it cost to run them, compare which inventions cost more, write stories and advertisements for the inventions, how much it cost to run an invention for an hour, day, and week, draw the missing parts, and eventually your little one will create their own inventions! In order for the child to move to the next chapters they must answer all of the questions in chapter one correctly. If they can do that then the child can move on knowing that they can use basic math skills to solve problems using addition and multiplication. This book only has an answer key for the first chapter and the reason being is sometimes in real life things aren't perfectly clear and answers are not always the same. You have to think out-side-of the box. 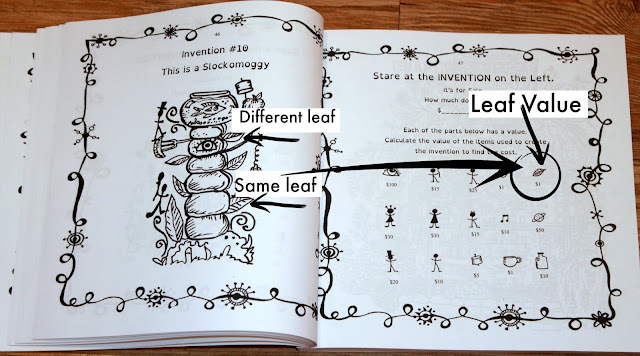 Sometimes your child might think that one object looks very similar to the original one (the one that has a value) and add it in as well (like with the leaves) again, what a genius your child is to notice that. And if he didn't add the object with no value, that's perfectly fine too. He's still a brilliantly genius thinker! What I do is add things up myself (because it's so fun anyway) and compare my answer to my child's. If it's close then I know he completed the page and tried. The key is not perfection but encouragement. If my child is "off" a few numbers that's okay, if he was way off, I kindly encourage him to try again. Chapter 3: The Guessing Games - Are You Naturally Brilliant? Have you ever seen a math book with such interesting chapter titles? I haven't and love the creativity of the names. I almost forgot to mention -it's okay for your child to use a calculator. With my 14 & 15 year old boys I do challenge them to first try it without then go back and use a calculator to check their answers! Once your child completes Chapter 1 the testing their basic skills chapter (and they pass) they are not ready to complete chapter 2! This chapter has your math genius practice demonstrating his mathematical skills, mental agility and creativity. The child has look at the invention that is for sale and figure out how much it cost. Chapter 3: The Guessing Games. In this chapter two inventions have been entered in a competition. Your child will first guess which invention will be the winner. Then he will calculate the scores to see if his guess was correct. Chapter 4: Mental Memory Challenge, your child will be pretty familiar with the inventions by the time they get to this chapter. Here your child will have fun remembering the names of these inventions, what the inventions cost, adding them up to see the correct cost, and find out which inventions cost the most. Chapter 5: High Level Intelligence Integration Challenge. For each invention your child will calculate the value of the machine and how much it cost to operate for 1 hour, 1 day, and 1 week. On the next page this unique math book sneaks in a bit of creative writing by having your child create an interesting advertisement. What a great way for the inventions to really become the child's invention. Their creative minds will tell you what the inventions are used for or do. Chapter 6: High Level Narrative Communication Challenge. Now your child will write a story about the creation. Chapter 7 Projective Visual Thinking Challenge. Your child will draw the missing parts. Some of them are a bit more obvious like in the example above. Other times it's a bit more challenging as in the example below. In chapter 7 your child will also get to create their own invention, how fun is that! Such a creative way to get the minds of our children thinking. I can see the wheels of my kids brain turning while completing these pages because the child has to create an invention with the value indicated. Now that's challenging! Chapter 8: Are You a Game Change. This chapter has your child creating games using the inventions and/or creating their own invention with the values. Some pages have pictures of the inventions on both sides of the pages, other times there is an invention on one side and the opposite page is blank, and some pages are blank with only the value of the objects. The last pages are of graph paper. Your child can use them to complete their math problems from their math book or make charts and graphs. It's up to them! How we use Math Genius: right now I have two boys ages 14 and 15 working through Math Genius. They are allowed to use a calculator after they try the challenges without one first. I thought it would be a great way for them to correct their own work. I check their work just to keep an eye and make sure they are not rushing through the problems. I don't use a red pencil or pen and mark things wrong. If they are way off I do ask them to try again. You don't have to do any of the problems to check their work like I do but it's fun for the kids to see mom or dad using their math book. As part of my Teach by Example Challenge, I purchased a book for myself to complete. I just started it so I'm still on the first chapter. I have my boys complete one invention page a day. We use this to supplement their current math. 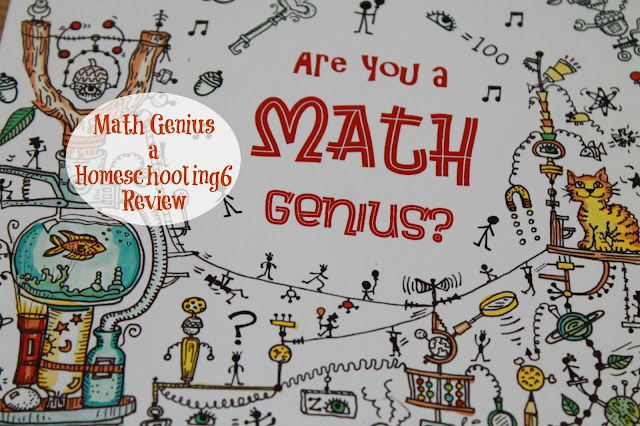 Math Genius is not just for homeschoolers. Any child or adult can use this. In fact I am considering purchasing a book for nephew and nieces to use during the summer. Bottom Line: Math Genius is so different from other math books. It's one of my favorite Thinking Tree books. It's fun, challenging, and encourages our children to be creative. I would encourage all moms and dad to purchase this book for their children. If you are on a budget you can have your child use a notebook or copy a page and paste it into their notebook. The author gives permission for the original purchaser to make copies (super generous). Lastly, encourage your child, call him/her a math genius. Tell your child what brilliant thinkers they are. Have fun with your child and use the book together. Sit with your child once in a while to complete a page with him or her. When you pass by your child (while carrying a load of laundry or whatever it is your doing), stop, take a peek at what they are doing, rub their back (because touch is a powerful thing) and say, "Your doing a great job my math genius!" or "What a brilliant mind you have!" or "Hey, brilliant thinker, great job!" Hi! I recently ordered this book for my 14 yr old son that I just started homeschooling. Though we haven't received it yet, I am excited for him to start. What other math curriculum(s) do you suggest using for an 8th grader? He has ADD & will be evaluated in a couple of weeks for Autism. 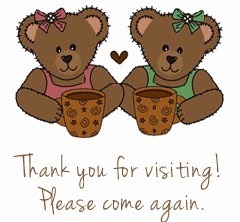 Hi, Gracie, thanks for visiting my blog. 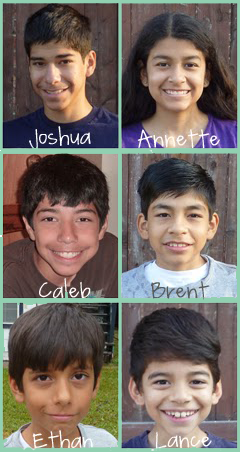 I have three kiddos using CTC Math. I love it because the yearly subscription includes all grade levels so if a child needs to review something he can go back a level and it's for all your kids. Your child would watch the lesson and if needed they can print the lesson. Everything is graded too! My dd uses MUS and although she hasn't been tested believe she has ADHD. She loves MUS because the program does keep her attention and the lessons aren't super long.